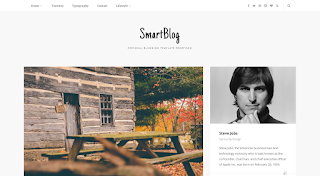 SmartBlog Blogger Template is a Light and Elegant template on all kinds of blogs. Not only its modern design is pleasing to the eyes. It's Perfect for any Personal Blog. It follows the trendy design with a combination of pure elegance.